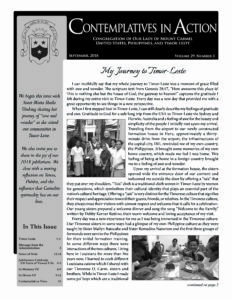 Through the Development Office the Sisters of Mount Carmel publish our quarterly Appeals Letter and triannual Contemplatives In Action. The Appeals Letter offers a seasonal reflection and Masses to our benefactors. 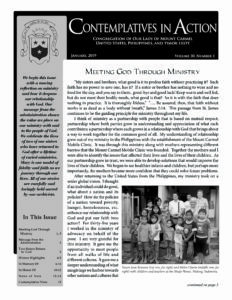 The Contemplatives In Action features and higlights articles from our Sisters, Lay Carmelites, and friends, the ministries of the sisters, named loved ones that you hold in memory or in honor, our Congregation history, and general News of Note. 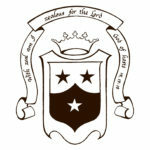 These publications allow the sisters to continually stay in touch with you, our benefactors, friends, and families, throughout the year. Keeping you connected with us and updated on the ways your generosity helps in so many ways.